Private investigator, Freddie Flynn, wants nothing to do with the man who left her fifteen years ago—or the God he abandoned her for—especially if reports of corruption within high ranking levels of the P.I. firm are true. She might have to accept him as the company V.P., but she doesn’t have to trust him. Jason Bryant knows his leaving to enter the ministry cut Freddie deep, but now he’s returned to Headley Cross and wants to make amends. But Freddie’s different—jaded, distant, distrustful—so what’s he to think when a file claims Freddie is the traitor who’s sabotaging the company? 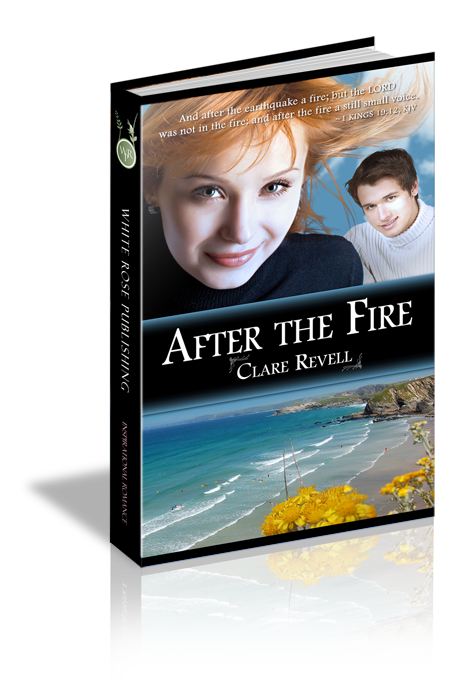 Thrown together on a case that could cost them everything, including their lives, Freddie and Jason must look beyond suspicion and innuendo to catch the real traitor before it’s too late…and maybe, just maybe, they’ll find the love they once shared by listening to the still small voice that comes after the fire. She paused. "I’m sorry, Jason. I shouldn’t have said all that stuff, and I shouldn’t have been rude to you. I suppose you called the office and told the boss I’m working the forbidden case?" "Now why would I do that?" He looked at her over the coffee cup. His tone was abrupt, and she knew he was mad at her. "Because you’re the vice president, and I’m defying orders." Jason gave her a long hard look. "Yes I am, and yes you are. But no, I haven’t rung the office. I rang the boss before I left work. He knows you’re undercover on one of the cases, but I didn’t tell him which, because I didn’t know at the time." "You can’t tell him." Fear knotted her stomach, and the tiny bit of sandwich she’d eaten felt like a ten-pound rock. "Why not? Because he specifically said to leave the Rafferty case alone?" "Partly. I can’t tell you. I’m sorry. You have to trust that I have a very good reason." Jason ate silently and finished his lunch, so deep in thought that Freddie could almost see the cogs turning in his mind. For the first time in her career, she had crossed the line and was dragging someone else down with her.